Look at this glorious blue sky we had this morning! 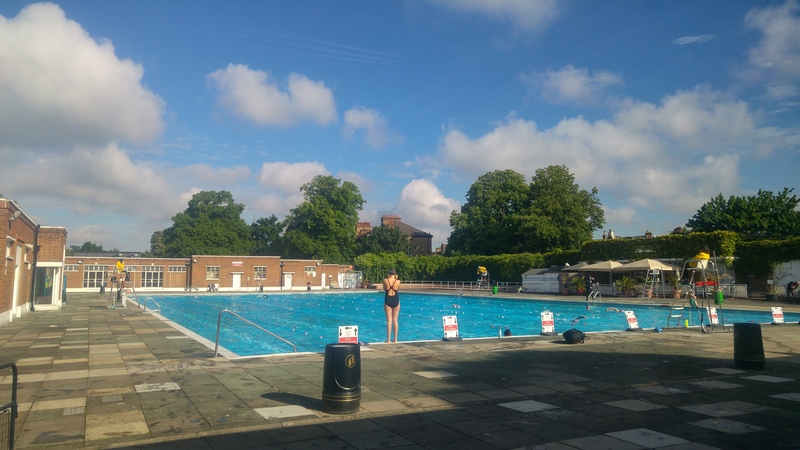 We cycled down to the lido, did our 800m swim, then went our separate ways to cycle to work in the glorious, warm sunshine. Completely different story cycling home… The heavens went against the forecast and I once again arrived home looking like a drowned rat. Get your weather act together, London!